A special anti-aging cream designed specifically for the delicate neck area and decollete. The strong firming and exfoliating action helps improve all signs of premature aging. 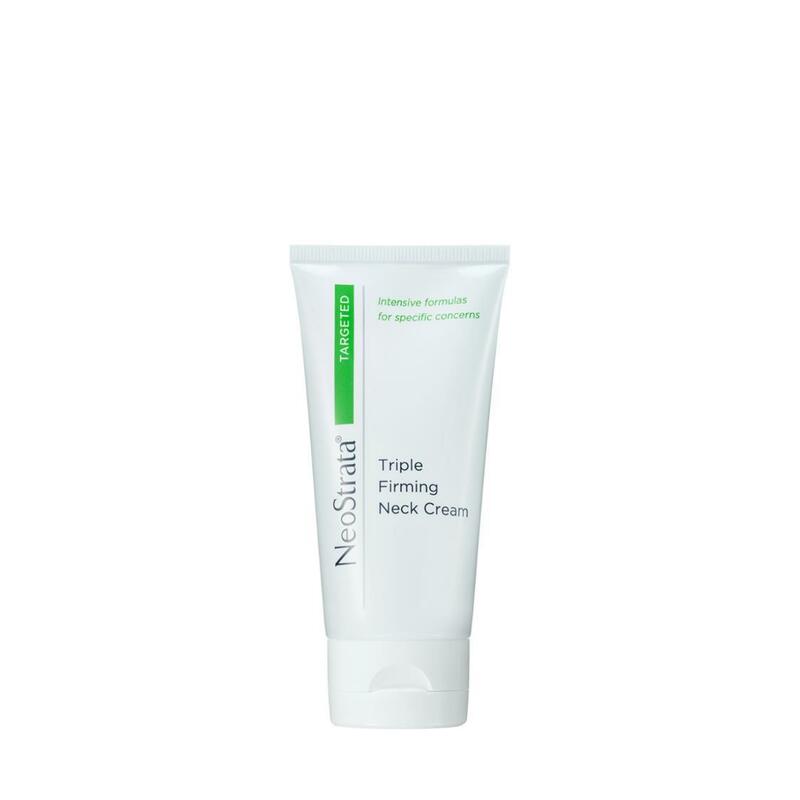 Based on three components, this cream tightens, increases volume and addresses sagging skin in the neck area. Pro-peptides stimulate the production rate of collagen in the deeper layers of skin, NeoCitriate™ helps to produce new collagen and NeoGlucosamine® helps to create a supportive skin structure and reduces discoloration and age spots in the neck. Apple Stem Cell Extract also helps to maintain cells and gives the skin a younger, tighter appearance. With a delightful creamy texture that is instantly absorbed, it restores and maintains the shape of the neck. Directions: Apply to clean skin on neck and jawline twice daily. Gently massage in with an upward motion. Ingredients: Aqua/Water/Eau, Acetyl Glucosamine, Cyclopentasiloxane, Triethyl Citrate, Cetearyl Alcohol, C12-15 Alkyl Benzoate, Butyrospermum Parkii (Shea) Butter, Glyceryl Stearate, Cyclohexasiloxane, Glycerin, Isocetyl Stearoyl Stearate, Dimethicone, Ethoxydiglycol, PEG-100 Stearate, Polymethylsilsesquioxane, Nylon-12, Isostearic Acid, Tocopheryl (Vitamin E) Acetate, Palmitoyl Glycine, Malus Domestica Fruit Cell Culture Extract, Hydrogenated Palm Kernel Glycerides, Hydogenated Palm Glycerides, Dimethiconol, Isopropyl Myristate, Caprylyl Glycol, Lecithin, PEG-40 Stearate, Ceteareth-20, Carbomer, Xanthan Gum, Pentaerythrityl Tetra-Di-t-Butyl Hydroxyhydrocinnamate, Sodium Bisulfite, Disodium EDTA, Ammonium Hydroxide, Chlorphenesin, Phenoxyethanol, Ethylene Brassylate, Methyldihydrojasmonate, Isobutyl Methyl Tetrahydropyranol, Methyl Decenol, Caramel, CI 19140 (Yellow 5).